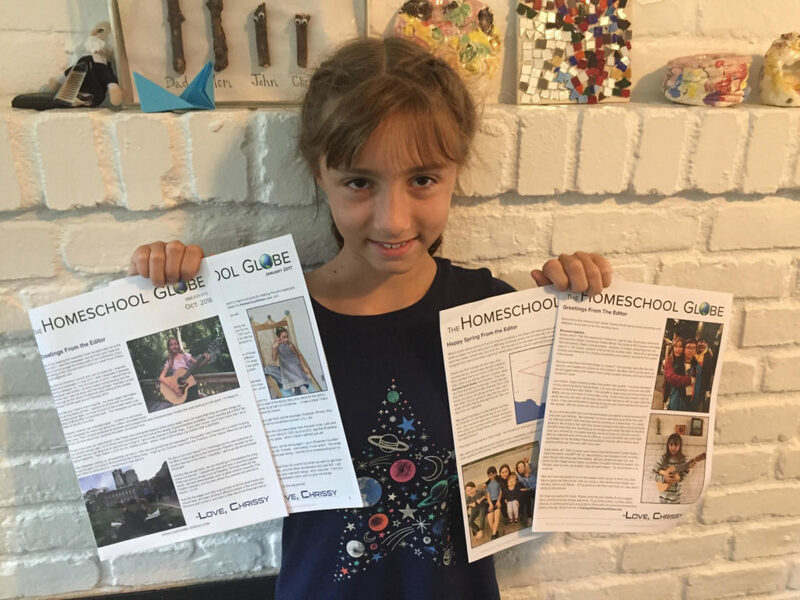 Last year my daughter Christine, age 10 at the time, started publishing an 8-page print newsletter. Not one of those HTML email things that gets instantly deleted – but on good old-fashioned paper! Her idea was for it to be a collaborative affair. She’d enlist her fellow homeschool friends to submit articles which she’d aggregate and cobble together on Adobe InDesign. Her generous father would oversee, try to make suggestions (there’s no editing and EDITOR! ), order about 100 copies from BestValueCopy.com, and then even provide the stamps for the ones that needed to be mailed – even as far away as Europe. So far so good. She just published her 5th issue and the production process is getting much smoother. She has a template, eager and great contributors, has mastered the ever-complicated InDesign and now has gotten better at fine tuning her eyes and ears for Globe article ideas. If you click the link above you can see what (at least the digital version) it looks like. If you send me or her an email….we can get you on the mailing list. Not just for homeschool families, but anyone who is curious about what homeschooling really looks like. Chrissy mails it to my 10X Homeschool prospects and clients as well.